Lately, as I sit in my kitchen and look out into my backyard, I see a continuous stream of squirrels travelling back and forth on the electrical wires that run across the yard. They look like they’re scurrying across with fierce intention and as I observed more closely I noticed that they are carrying things in their little hand-like paws or in their cheeks. Of course, I realized, they are preparing for the winter! It suddenly became too clear to me, as I am in denial you see, that winter is approaching. And somehow I am completely dreading it this year thinking about last year’s long and cold winter which traumatized me. Don’t get me wrong, I enjoy the changing seasons and appreciate being able to ski, skate or go sliding but honestly, three months of it would be enough. So, I jokingly say that it’s time to prepare for hibernation! Autumn is kind of bitter sweet for me. It saddens me to have to take down my garden knowing that winter is on it’s way but yet it is one of the most delicious seasons. I’m enjoying cooking up all my produce into stews, soups and casseroles and all sorts of hearty, comfort foods. Then again, if you’ve been following my blog you’ll quickly realize that comfort foods are not limited to the cold winter months for my family! Watching the squirrels reminded me that it’s time to do my own preparations before winter arrives. My garden is not very large, probably about 8 x 10 feet, so there’s no way I have enough vegetables that I can store away for the winter. However, I’ve had an abundance of greens such as kale, swiss chard and cabbage so I decided to freeze what I can. I’ve also made a couple of trips to local markets in order to take advantage of local and inexpensive ingredients available at this time of year such as leeks, pumpkins and other squash, as well as apples. So, in this post I’d like to share with you some of my techniques for freezing or canning produce. I spent last weekend in a frenzy, much like those squirrels I’ve been observing, washing, chopping, cooking, freezing or canning. 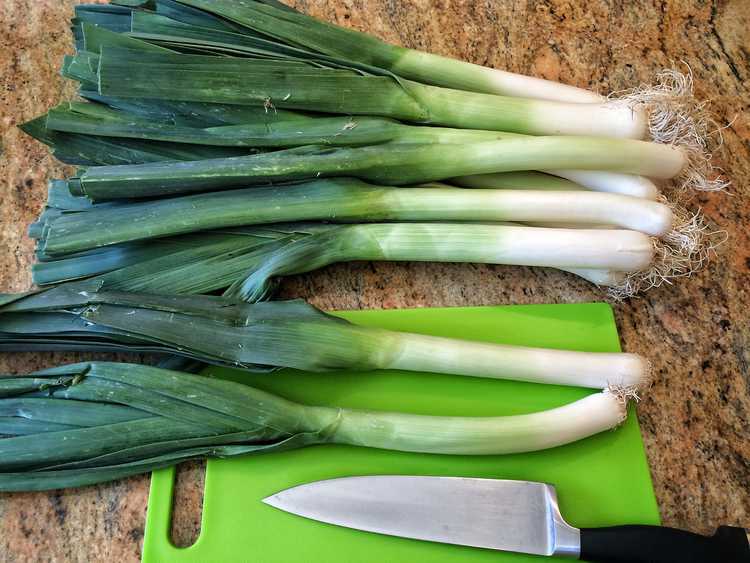 Local leeks are abundant and inexpensive right now, both in grocery stores or markets. 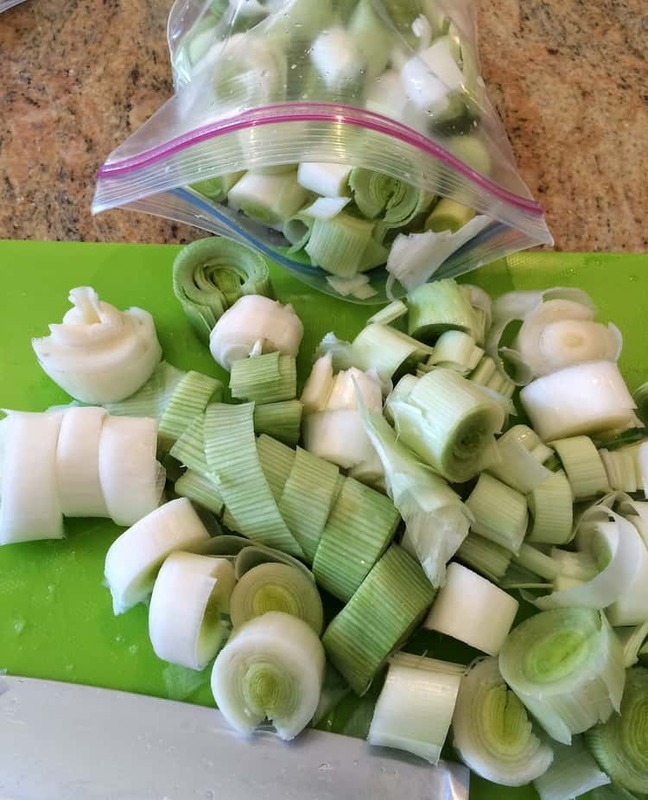 A bag of frozen sliced leeks is great to have on hand for a quick and easy weekday supper of cream of leek soup or combined with potatoes, butternut squash or sweet potatoes. 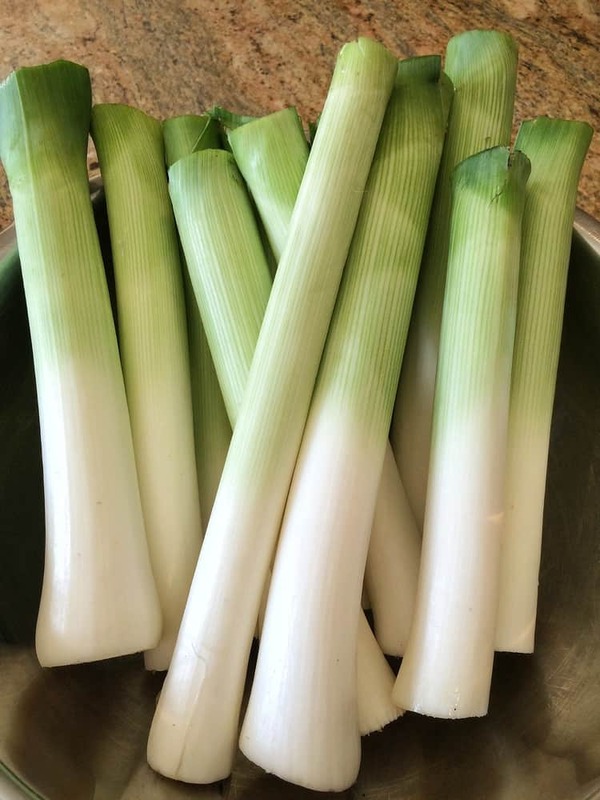 I recently purchased one dozen leeks for 5$. I simply remove the tough, darker green leaves. Next, I make a slit lengthwise and, under running water, separate the layers and rinse out all the sand. The leeks are then pat dried, sliced into 1 inch thick rounds and placed in medium sized freezer bags. That’s it! a pumpkin and make my own purée. For some reason, I could never be bothered to do so but last year I finally decided to try it. You know what ? It was the easiest thing and I produced about 9 cups of purée with one medium sized pumpkin, enough for me to make my children’s favorite pumpkin oatmeal chocolate chip cookies all winter. Price wise, it also makes a lot of sense. 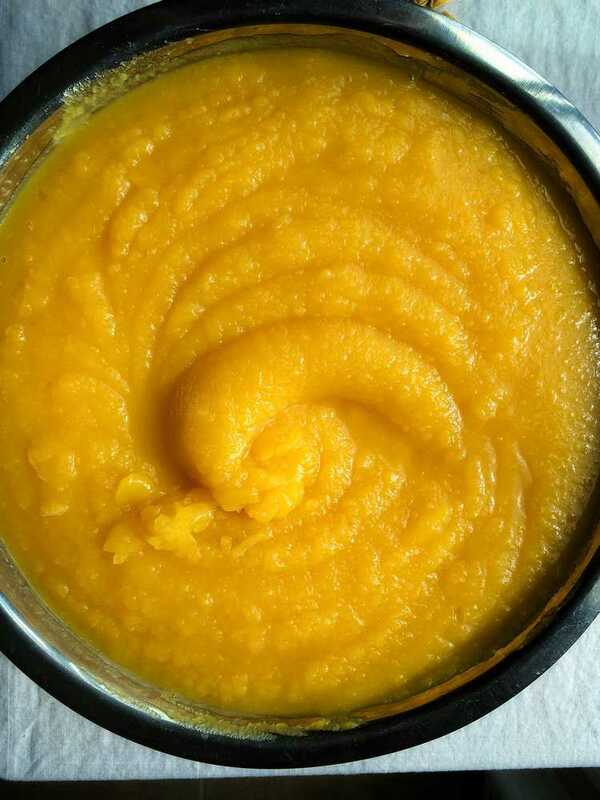 1 can of pumpkin purée will cost somewhere around 4.00$ and provides about 3 cups of purée whereas 1 pumpkin worth 3.50$ provides 9 cups of purée. 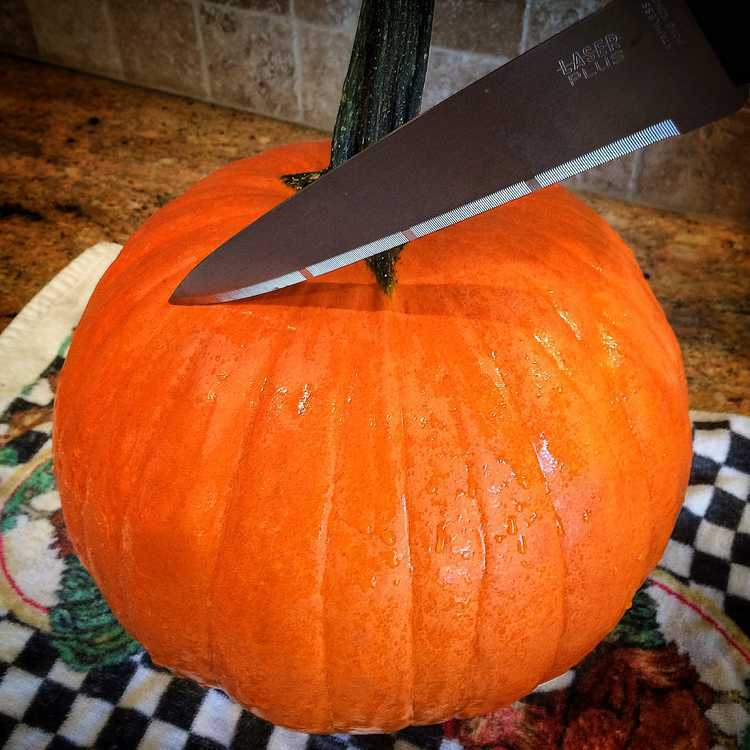 I tried oven roasting the pumpkin last year but found that it did not purée easily. I prefer roasting it if I’m going to make soup, but for baking purposes I found it easiest to steam the pumpkin in wedges. 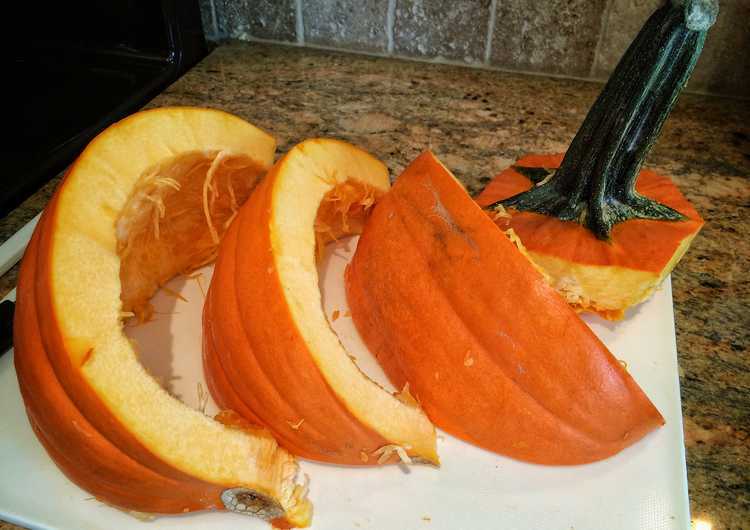 I cut the pumpkin in half, removed the seeds and membranes and then sliced it into wedges small enough to fit in my steamer. I steamed the wedges for approximately 15 minutes, or until the pumpkin is tender enough to insert a knife into. 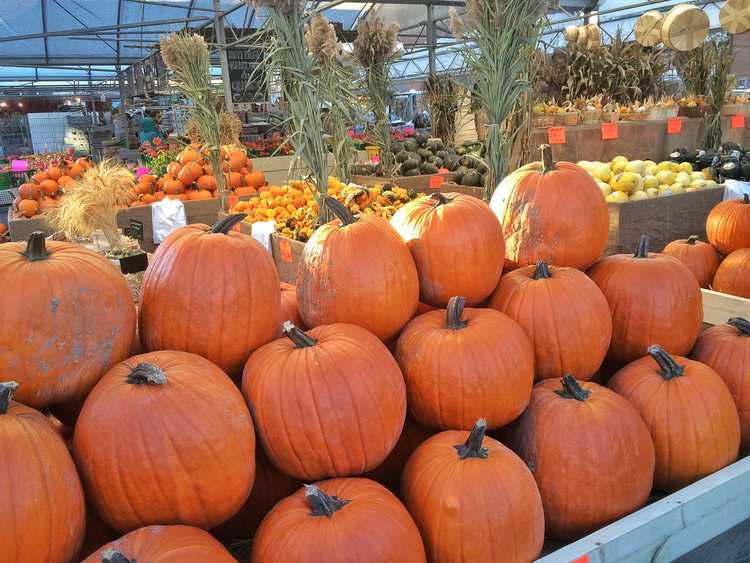 Allow the pumpkin to sit for a few minutes until it is cool enough to handle. Then remove the pulp with a spoon and purée in your food processor. I placed the purée in 1 cup amounts in freezer bags. 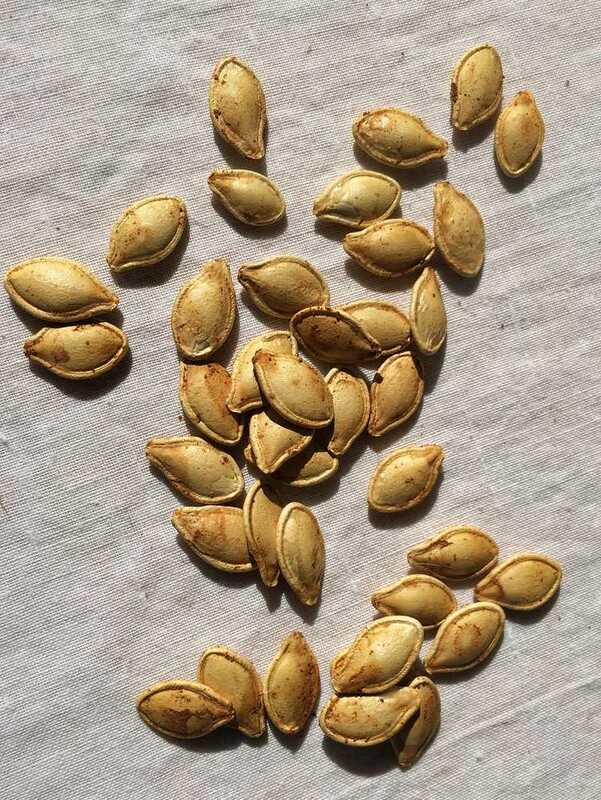 And don’t forget to hang on to those pumpkin seeds. They are delicious oven roasted with a bit of salt and spices of your choice. They make a tasty and healthy snack. The swiss chard from my garden has been quite abundant and realizing that I would not realistically eat it all before the frost comes, I decided to cook and freeze the rest of it. 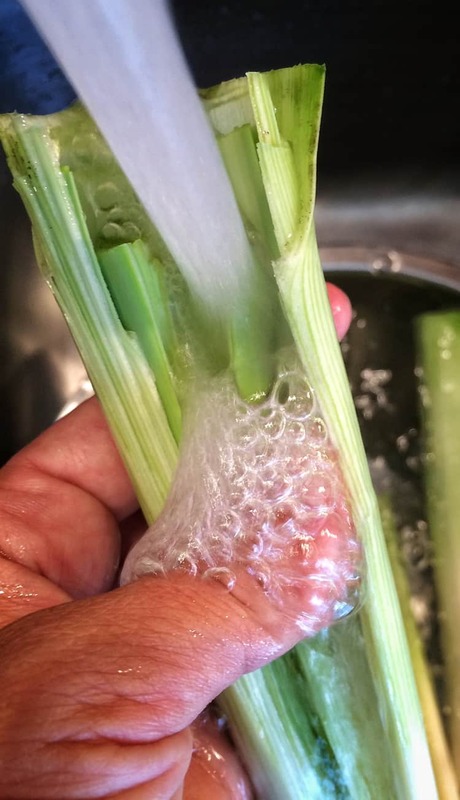 I removed the tough stems from the leaves, rinsed well and blanched the leaves whole for a minute. The leaves were then transferred into a bowl of ice water in order to stop the cooking process and maintain the bright green color of the chard. I squeezed out some of the water as I don’t want to store the leaves completely dry and once again divided the chard amongst several freezer bags. 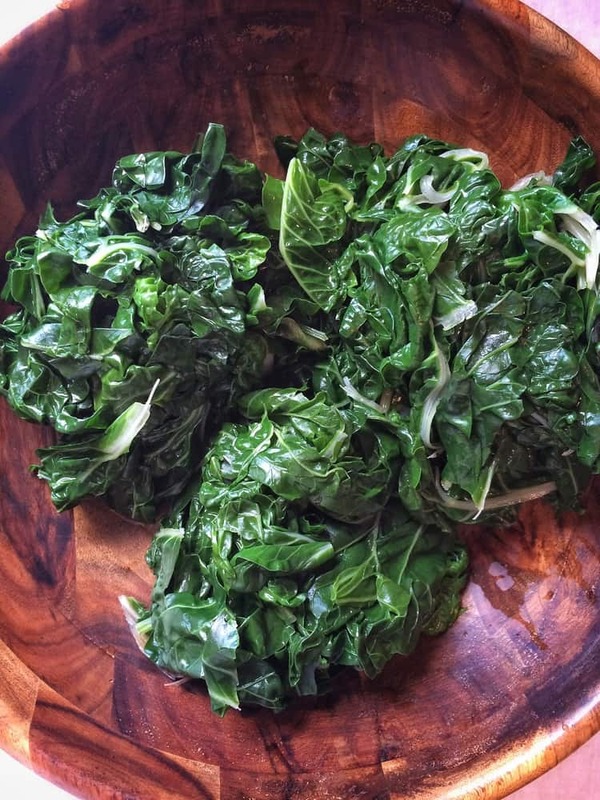 The chard can be defrosted and then coarsely chopped for use in soups, stews as well as my family’s favorite cheesy potato and swiss chard casserole (https://mangiabedda.com/2015/06/26/cheesy-swiss-chard-and-potato-casserole/). Like most Quebecers at this time of year, we took advantage of a beautiful sunny weekend to go apple picking in an orchard close to home. Quite honestly, it may be cheaper to buy apples at a grocery store but apple picking is an enjoyable way to spend the day outside with the family, especially when you know that these warm sunny days are counted. Actually, we may have gone more for the apple fritter stand than the apple picking itself! I always prepare several jars of apple sauce which we usually run out of even before winter begins. My son gobbles it all up in no time! Apple sauce is a no brainer. I usually make it in small batches. I peeled and sliced about 6 lbs of apples to yield 3 jars of apple sauce. 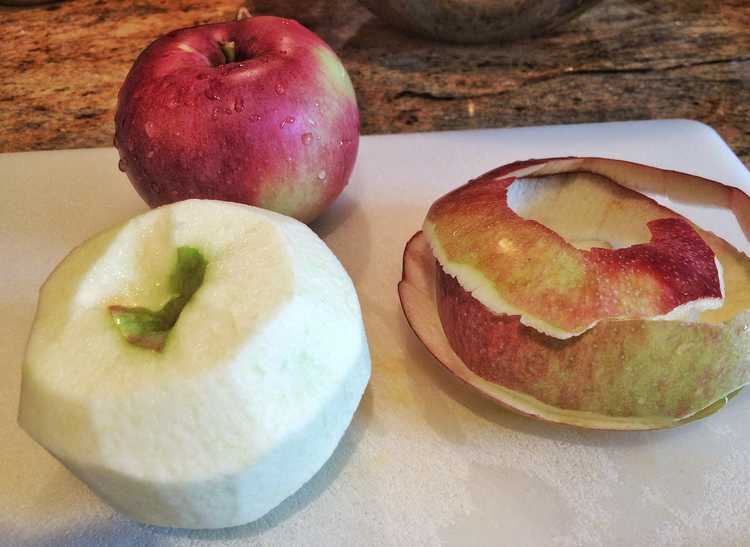 I prefer apple sauce with a chunkier consistency and therefore cut my apples into larger chunks. If you prefer smooth sauce, simply purée it once it has cooked. 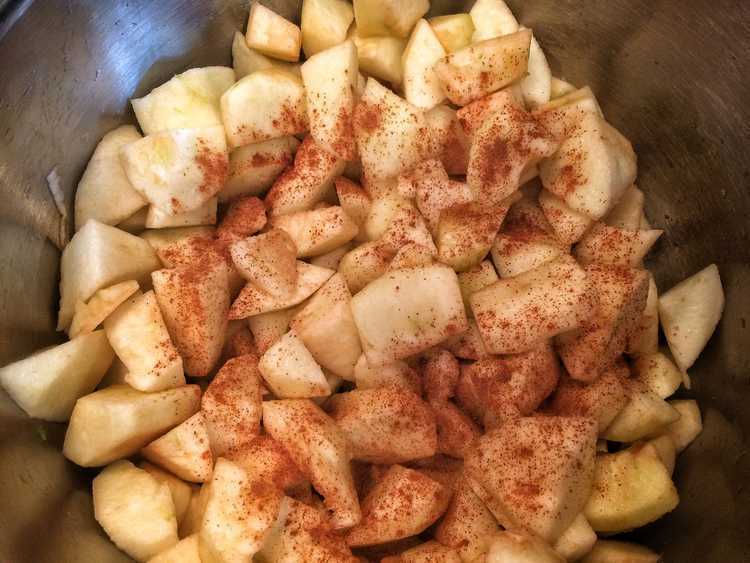 I enjoy the natural taste of the apples and so I don’t add much sugar at all, perhaps a couple of tablespoons per batch as well as a dash of cinnamon. I don’t measure anything and rely on my taste buds to determine whether or not to add more sugar. 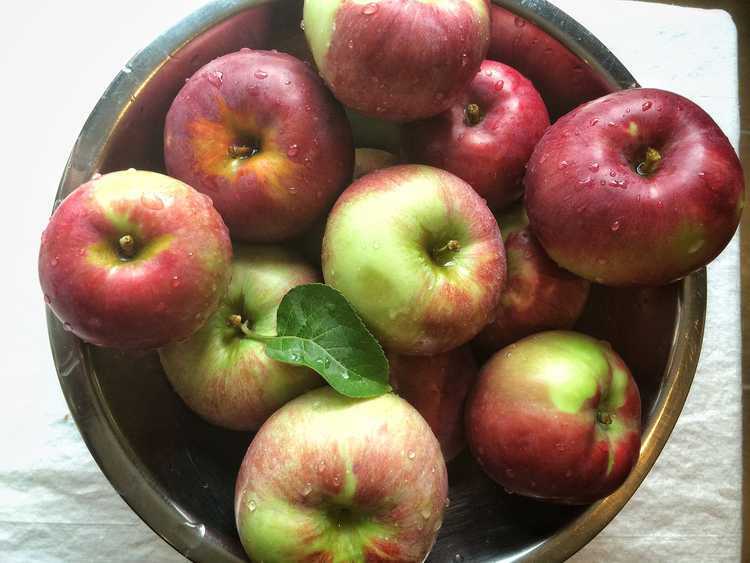 I cook the apples until they have broken down, approximately 20 minutes. I then transfer the sauce to jars which I have previously sterilized. 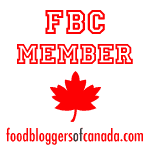 I found this site useful for canning instructions (https://www.bernardin.ca/filebin/Canning_101_Bernardin.pdf). The apple sauce will be enjoyed eaten as is or used in baking. So, this is what I spent my weekend doing and I love that feeling of satisfaction at having accomplished all this as well as knowing that I have great ingredients on hand to quickly prepare healthy meals for my family. See ya in the spring! No, I’m kidding, I’ll be around! Hi Rosa, I guess I was looking for a better way to say pumpkin guts!